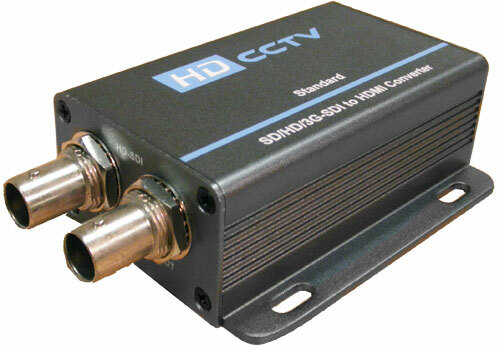 This device converts a single channel SDI signal to different kinds of HD Multimedia HDMI signal/VGA/S-Video/CVBS signal. It integrates SDI Cable equalizer and reclocker to enhance video performance and stability. Simultaneously, it also separates and converts the audio signals of SDI, embedding it to HDMI signal or output to analog audio DACs. Support SDI input format: 480i, 576i, 720p50/60, 1080p24/25/30, 1080i 50/60, 1080p50/60. Support SMPTE 425M (A level and B level), SMPTE424M, SMPTE292M, SMPTE259M-C. Carry 1 channel SDI signal loop out.